The Chester Township Board of Trustees is soliciting applications from residents who are interested in serving on the West Geauga Joint Community Recreation District Board. There is one vacancy on this Board. This is a three year term which will expire April 30, 2022. Township residents interested in serving on this Board should submit a letter of application to the Chester Township Board of Trustees, 12701 Chillicothe Rd., Chesterland, OH 44026. If there are any questions, please feel free to contact the Chester Township Town Hall at 440.729.7058. Applicant should possess knowledge and skill in the areas of landscaping and grounds and facilities maintenance. Duties include, but are not limited to, mulching, tree trimming, mowing and trimming, traffic flagging, emptying trash receptacles, and performing general maintenance on facilities and equipment. Knowledge and skill in the handling of hand tools and motorized equipment used for landscaping and grounds maintenance is preferred. Days and hours to be determined by the Road Superintendent.& Employment is contingent upon successful completion of a pre-employment drug screen and physical. Must be a minimum of 18 years old and have a valid State of Ohio driver's license. Starting wage is $12.00. Please contact Chester Township Road Superintendent at 440-729-9110 with any questions. The Chester Township Board of Trustees is seeking applicants to fill one open position for an alternate member on the Board of Zoning Appeals for a five-year term expiring December 31, 2023. Applicants are required to be residents of Chester Township. The proceedings of this Board are quasi-judicial and individuals who are licensed attorneys or who have legal training and experience are encouraged to apply. Interested parties are requested to submit a letter with a description of their qualifications to Chester Township Board of Trustees, 12701 Chillicothe Rd., Chesterland, OH 44026. Register now for the summer 2019 sessions of Safety Town! Classes will be held the weeks of June 17 through June 21, 2019 and July 15 through July 19, 2019. CLICK HERE for more information. The USO of Northern Ohio is a non-profit, charitable organization that relies solely on the generosity of individuals, organizations and corporations. Please show your support for those that sacrifice for our country, and drop off items for care packages at the Police Department or Town Hall! Click here for more detail. Please note: glass is not accepted in our single stream recycling drop off program at this time. Also, please do not leave your recyclables in plastic grocery bags – they require a different collection system and processing equipment than many recycling centers provide. Many grocery stores (including Chesterland Giant Eagle) have collection bins specifically geared toward plastic grocery bags. Chester Recycle Park, located at 12535 Chillicothe Road, is available 24 hours a day, 7 days a week to accommodate residents' recycling needs. Bins are typically emptied on Fridays and Mondays, and the Park is closed when the bins are full, in order to minimize windblown trash. Please remember, Chester Township receives revenue for paper and cardboard that is placed into the "paper only" bins on the right-hand side of the recycle drive. If you are able to segregate your paper/cardboard from other recyclables, it is appreciated. For more information about recycling, please visit www.startrecycling.com. To report an outage, please call the CEI Outage Reporting Line at 1-888-544-4877. When electric power is lost, CEI crews' highest priorities are removing downed wires and electrical hazards. Critical infrastructure is focused on next - police, fire, schools, hospitals, wastewater treatment, etc. Some residents may see a CEI truck go through their neighborhood but their power remains out - these crews are patrolling the area and looking for damage and safety hazards. If your power remains out after the estimated restoration time has passed, CEI asks that you call the outage reporting line again. 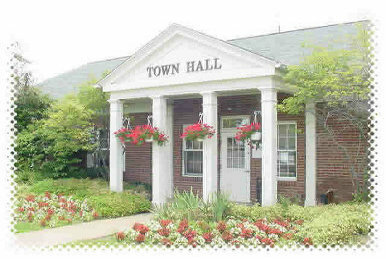 Township meetings are held every other Thursday evening at 6:00 PM in the Town Hall meeting room located at 12701 Chillicothe Road, unless otherwise specified.